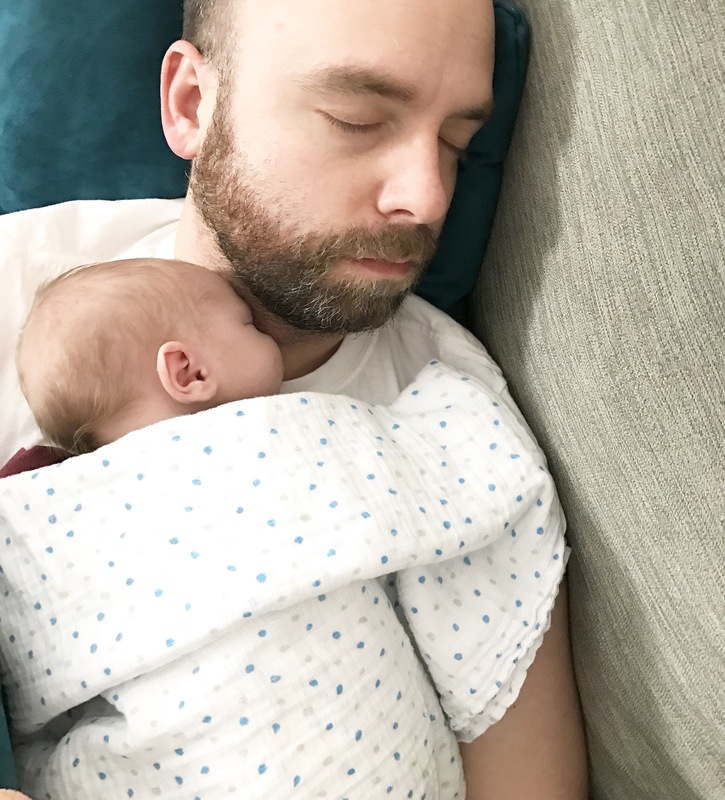 Today is day 12 of our adventure with baby LW – and it was a big one! Not only did he get back to birthweight today, he surpassed it by 2.2 ounces. 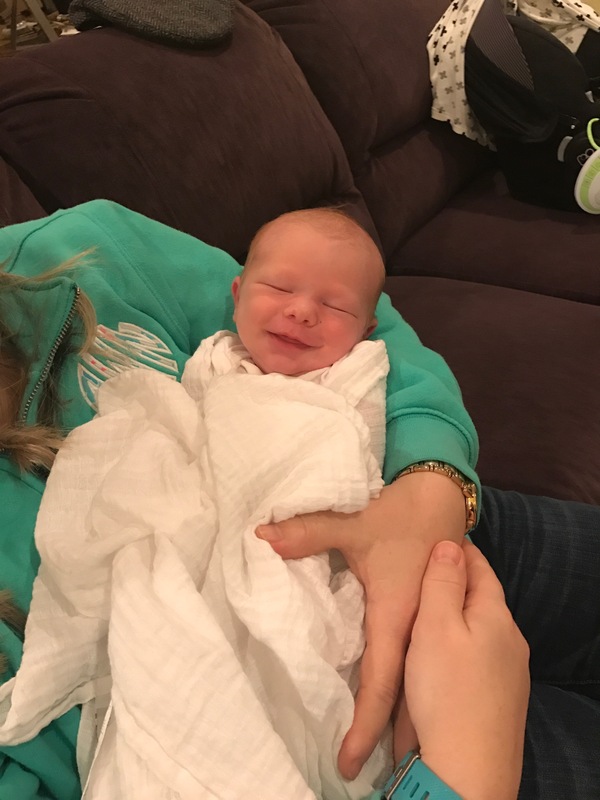 That means mama and daddy can get a little extra sleep and we don’t have to go to the doctor every other day now! Hooray! The little guy is actually a pretty good sleeper and goes to 3 hours between feedings regularly before we have to wake him so we’re hopeful for a 4-5 hour stretch tonight. 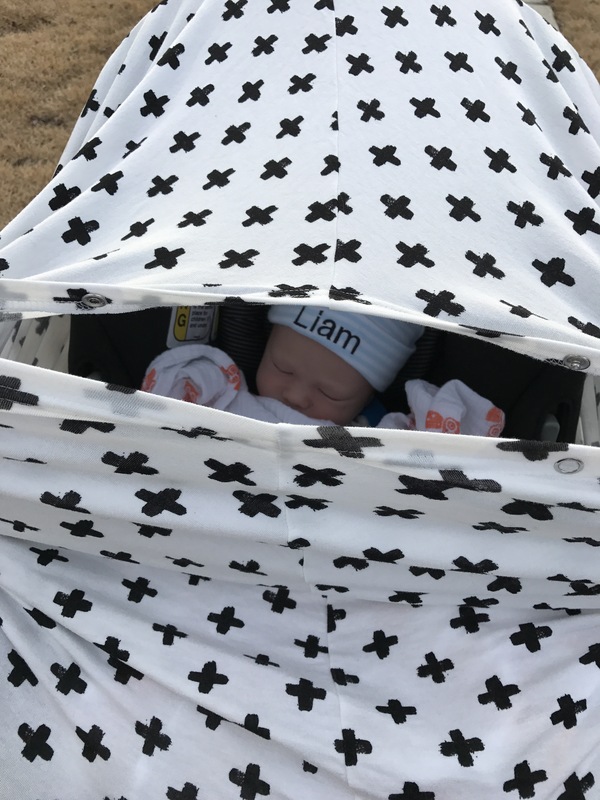 He enjoys walks on warmish days, riding in the car (but not getting in the car seat) and has learned to love his Rock n’ Play. Big LW has been a dream throughout these first few days/weeks. I think I’d be a hangry, crazy zombie without him. He’s always right there with my water, a snack, taking the baby so I can sleep for a couple hours… seriously amazing. 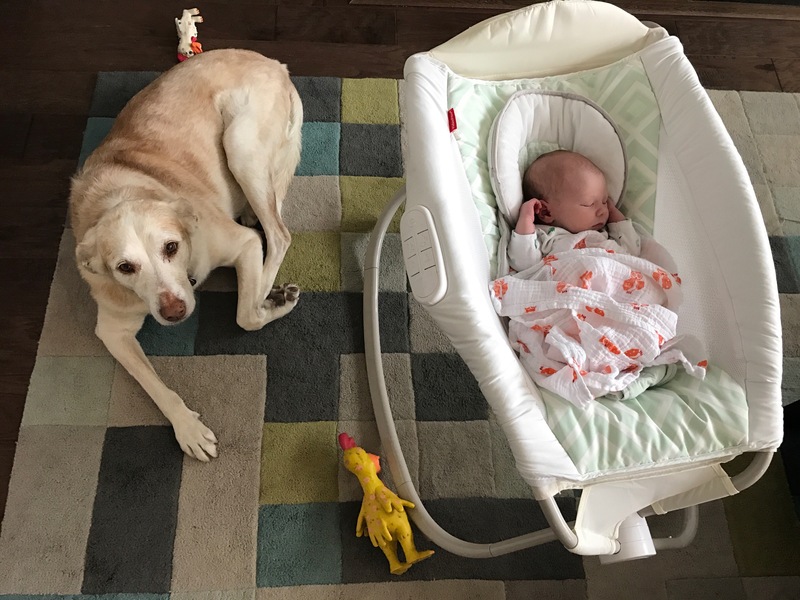 And the dogs are doing so well with the baby, especially Bud, who has claimed him as his own. We’re so proud of our babe for hitting his goal today. He was rewarded with a milky lunch, a walk outside and lots of snuggles. Now to try and get some sleep!